Today we replaced the old Pentair WhisperFlo pool pump that was not efficient. We replaced it with a new Pentair 2 VST variable speed energy efficient pool pump. Thes two pumps are very different and I will explain in a very simple manner. The single speed pool pump runs at one full speed continuously when operating. It does not recognize if you are filtering the pool, running the solar or using the spa or hot tub. Whereas the new Pentair 2 VST pump knows what you’re using and what it needs for maximum efficiency. Title 20 laws are a big reason why people are replacing their old single speed pumps as it is the law. If you run more than a .75hp rated which equals a .5hp pool pump you have to upgrade pool pumps. 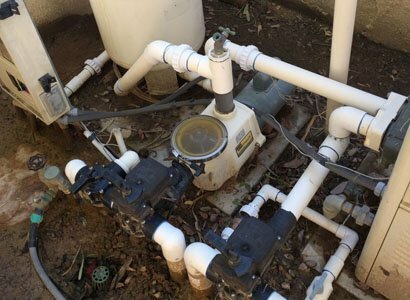 This specific pool pump installation was to allow the homeowner to have a much more efficient pool pump. 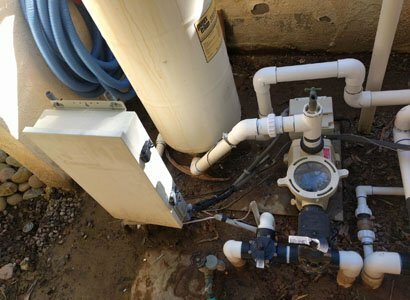 Along with having this new pump installation performed here in La Jolla, they also needed to upgrade their automation. Compool’s old Lx3600 was not compatible and either was the Cp3400 indoor controller. They were looking to have more control over some of their various water features including the spa jets, spillover, and a water feature. With the new Pentair pool pump, they can make the flow run exactly as they want. Pool automation that is older is one of the problems pool owners encounter when wanting to upgrade. To have a new variable speed energy efficient pump, the older versions of pool automation are not compatible. A work around for this is that most pool automation comes with an upgrade. This is for most older types of pool automation though not all have that capability. Very old pool automation would either need to be replaced with new pool automation or removed altogether. This is also true for the standard wall-mounted pool controllers on the older systems. The wall mounted pool remote will also need to be upgraded. Now you will have a few more great pool controller options. You could go with the new wireless remote that stays at the home but is mobile and water resistant. Or, you may want to stick with the standard wall mounted remote control. If you want to give yourself the best of the best, you would have it synced with your smartphone and or tablet. With all of these types of pool automation control options, there is sure to be one or multiple you will enjoy. As with all of these types of controls, it will give you the ability to control and program the new Pentair 2 VST variable speed pool pump. 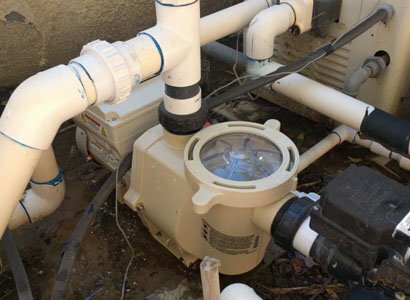 This La Jolla pool pump installation used a replacement wall mounted controller with their Pentair EasyTouch upgrade as that is what they were comfortable with. 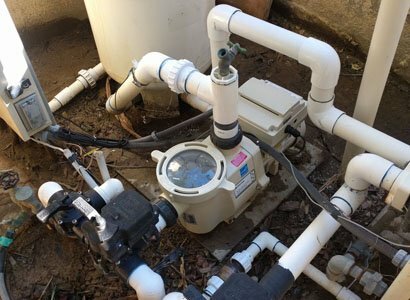 If you are wanting or needing to upgrade to a new variable speed pool pump in La Jolla or any other areas of San Diego County, we can help!